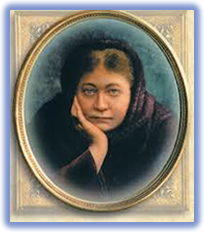 The word Theosophy has been used for many centuries, it is of Greek origin meaning Wisdom of the Gods (theo - of Gods, sophia – wisdom). Wisdom cannot be enclosed within words, it is a Truth which must be discovered and experienced by each one for themselves. Theosophy, sometimes known as the Ageless Wisdom, is the Light which shines through the many coloured lamps of religion. It is the thread of truth in scriptures, creeds, symbols, myths and rituals. Divine Wisdom is One, the paths towards it are many. The Theosophical Society in Scotland is a part of the world-wide theosophical movement with its centre in Adyar, India. The Society is dedicated to the comparative study of religion, science and philosophy and the practice of the Art of Self-Realisation. The Society is composed of members of different religious backgrounds who are united in a belief that mankind is a spiritual family and that humanity can have a glorious future through a compassionate and intelligent way of living. 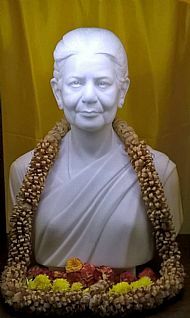 A bust of Rahda Burnier was unveiled at Adyar on 15th November 2017 in tribute to her role as President of the Theosophical Society Adyar from 1980 until her death in 2013. The unveiling had been planned to coincide with the date of her birth - 15th November 1923.